Built in 1889, the Peabody-Whitehead Mansion is reportedly home to around 12 spirits. Witnesses have reported books that fall off shelves, objects that move on their own, a ghostly baby’s cry, breaking glassware, the ringing of disconnected service bells and phones, a flickering chandelier that wasn’t even hooked up to electricity, and a ghost who poured a bottle of beer down a cook’s shirt after the cook badmouthed homosexuals. Paranormalists say the ghost of a young woman named Eloise or Ella hants the second floor, and the basement may be haunted by the spirit of a waitress who hanged herself there. An older man is said to haunt the first-floor women’s bathroom smoking a strong cherry-scented pipe. My name is Mike, Let me start by saying im sure you have been inundated with these requests, but hey, i’ll throw another one “in the hat” My girlfriend and I, both 30, so not rambunctious kids, were interested in possibly visiting the property for some more adult type Halloween festivities, it wont be crazy, likly my girlfriend, myself, and if my son can gather the nerve, pessibly my 10 year old so. Not to get to into personal detail, but my last few Halloweens have been kind of a bust, hopening to make it up this year. Thank you for your consideration. My Boyfriend and I Recently visited the Peabody Whitehead Mansion. We walked up to the Mansion at this time it’s closed to the public and is Fenced off with a No Trespassing sign. 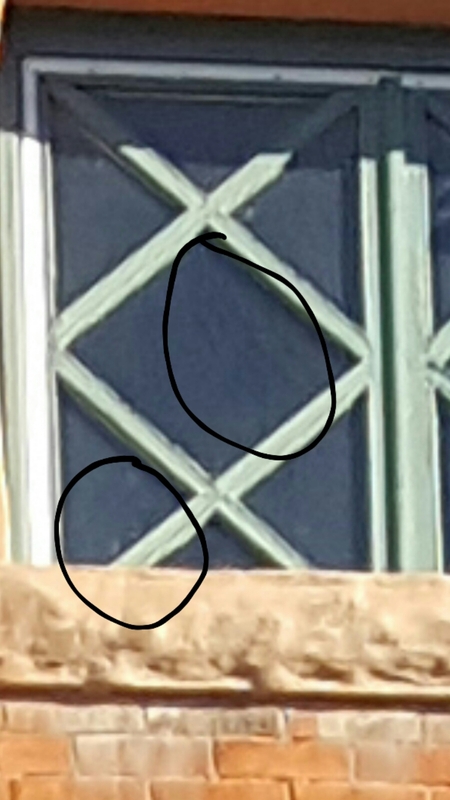 I looked up to the very top two windows and saw scratch marks on the right window. We just noticed on the photo in the same window above face in the bottom left hand corner, of someone or something. When I really saw it in threw my phone my heart started beating fast and got the chills, I got so emotional after I saw the face.